Effective November 1, 2014, Amendment 782 to the United States Sentencing Guidelines reduces by two levels the base offense levels applicable to most quantities on the Drug Quantity Table at §2D1.1. Said Amendment is included on the retroactive list Amendments at §1B1.10(d). If you or a loved one are currently serving a Federal Prison Sentence for a Drug Crime, there is a good chance you may be eligible for a reduction in your sentence and therefore an early release from prison. There are exceptions and limits on the application of this reduction so you should contact an attorney knowledgeable in this area of the law to see if you are eligible and if so, how soon can you can expect to have an early release from prison. DO YOU OR YOUR LOVED ONE QUALIFY FOR A TWO (2) LEVEL REDUCTION? Only some cases will qualify for a reduction. 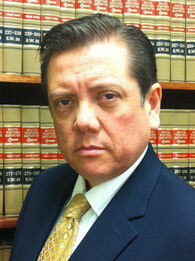 Contact Attorney Reynaldo Merino to determine if your case is eligible for a retroactive sentence reduction.